The next chapter of your life starts with owning a home that you and your family love. How do we know? 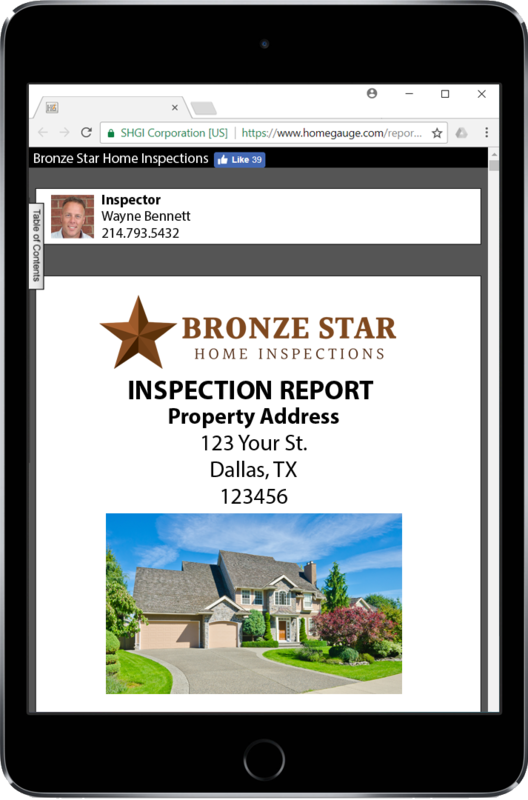 Because Bronze Star Home Inspections PLLC is on your side to help make it happen. Our investigative home inspections deliver the knowledge you desire and need, drawing from our own hard-earned expertise in the industry to provide a thorough and trustworthy home inspection. We proudly serve the Dallas-Fort Worth area, offering comprehensive home inspections within a 50-mile radius of Rockwall County. Because today’s home-buying process moves at lightning speed, we accept inspection appointments 7 days a week for your convenience—including times outside normal business hours! An exhaustive report of our findings will be sent to you shortly after your home inspection is completed, typically within just a few hours. Our reports offer straightforward, informative summaries of each inspected area of the home, including helpful photographs where appropriate. If you have additional questions after receiving your report, contact us over the phone or by email at any time—we pride ourselves in our availability and dependability, and we’ll do our best to find the answers you need. Our inspection reports include free access to the powerful Create Request List™ (CRL™) feature by HomeGauge. Create an itemized project and repair request list by selecting defective components listed in your report. Your finalized request list can be combined with your real estate agent’s standard repair addendum so that your negotiating terms are plainly understood. The CRL™ can be accessed the from most devices (phone, tablet, laptop, desktop) with an internet connection.